This week's challenge at "Less is More" is the theme Congratulations! 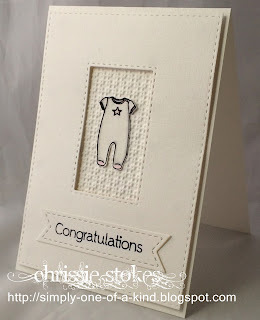 This new baby card was made with an Impression Obsession image, gently coloured, cut out and mounted on some embossed card which I think looks a bit like a baby blanket. It's from a Stampin' Up folder. The front panel was cut with Simon Says Stamp stitched rectangles. Lots of inkiness here with over-stamped butterflies from Stamplorations and a Memory Box diecut! It's simply Aqua Tint inks dropped onto a craft mat, spritzed with water and then a print taken from it. Memory Box butterflies here, again with a print from Aqua Tint inks as the backing panel! The sentiment is from Clearly Besotted. 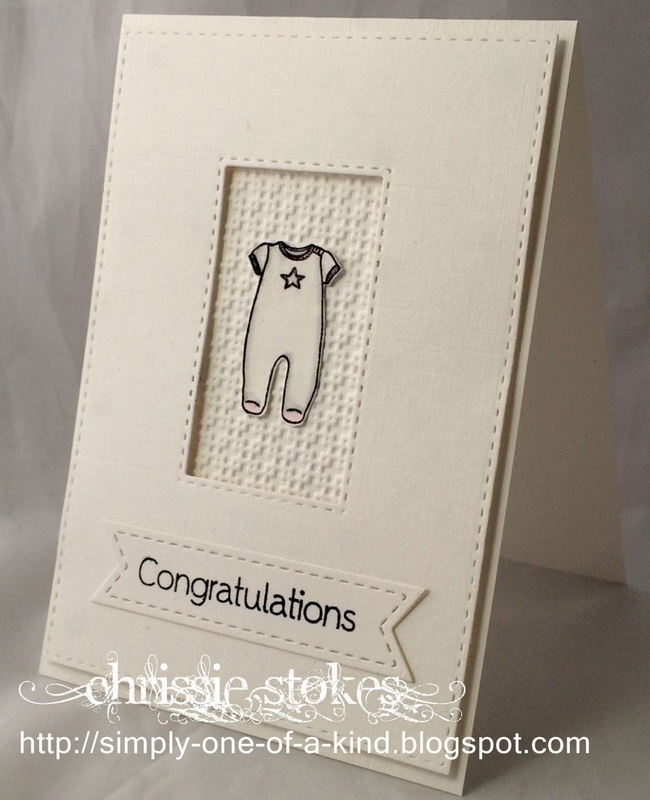 This week has flown past and I just realised that I hadn't blogged a card all week! Must be getting old! Three beautiful cards, Chrissie! The baby card is my favorite (although you cannot really compare it with the other two which are gorgeous too). Beautiful cards!!! I loved the third card on the LIM blog and here are more amazing cards! The watercolor background of second one is absolutely breathtaking! I love how you've framed the baby romper! The gold butterflies are so elegant with the artsy background. And IMHO you can't go wrong with butterflies and turquoise! 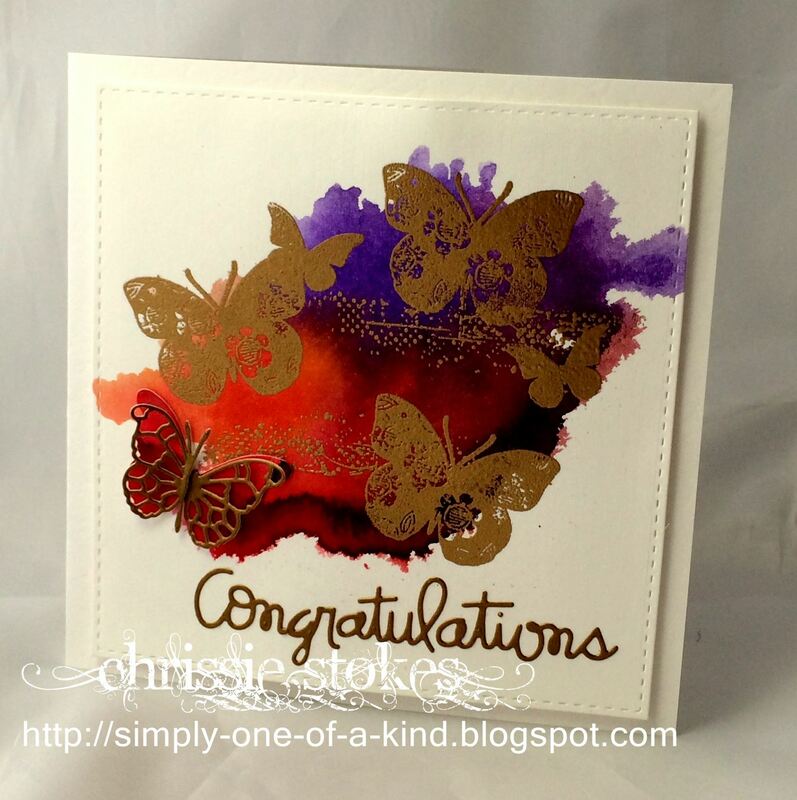 All three cards are gorgeous Chrissie, I especially LOVE the vibrant redish one with the golden butterflies. Love the baby blanket effect, very creative and just gorgeous. The blue butterflies are so delicate and so very effective and the colours are so lovely. As always... you just know how to inspire Chrissie! Three beautiful cards... love them all! 3 simply scrumptious makes Chrissie, all stunning and unique. 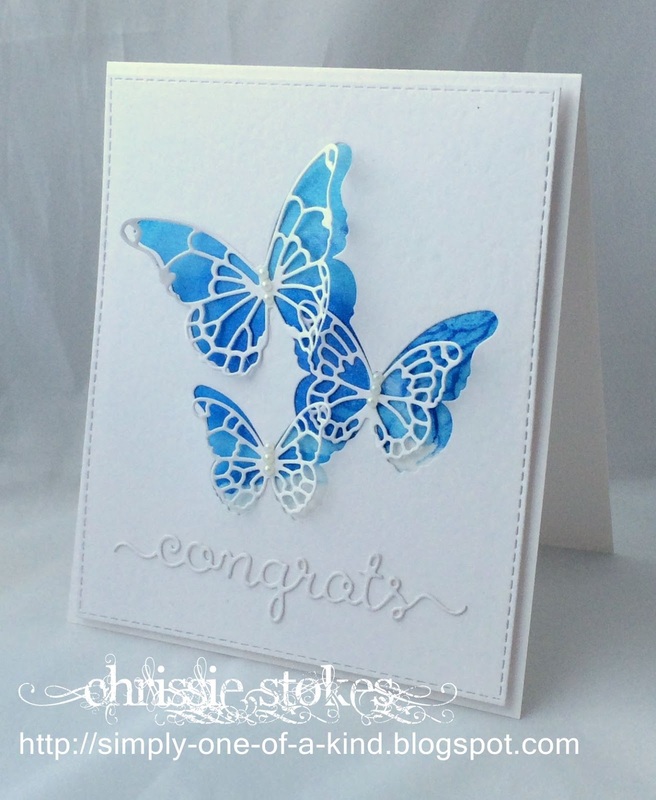 Love your sweet baby card and all the butterflies are beautiful, Chrissie!!! You made up for your lack of card making with this post, Chrissie. Three lovelies to inspire us all.